Story: From the Academy Award-nominated team of director Pete Docter ("Monsters, Inc.") and co-director Bob Peterson comes "Up", a comedic adventure. Carl Fredricksen spent his entire life dreaming of exploring the globe and experiencing life to its fullest. But at age 78, life seems to have passed him by, until a twist of fate (and a persistent 8-year old Junior Wilderness Explorer named Russell) gives him a new lease on life. 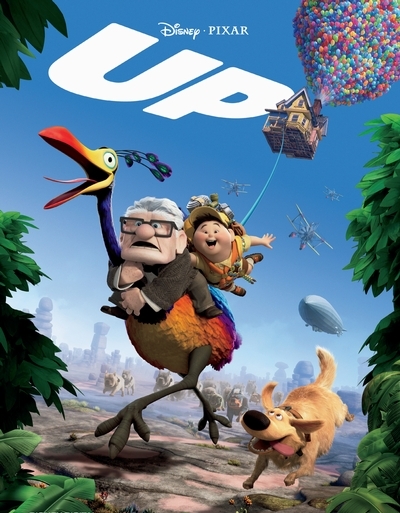 "Up" takes audiences on a thrilling journey where the unlikely pair encounter wild terrain, unexpected villains and jungle creatures.